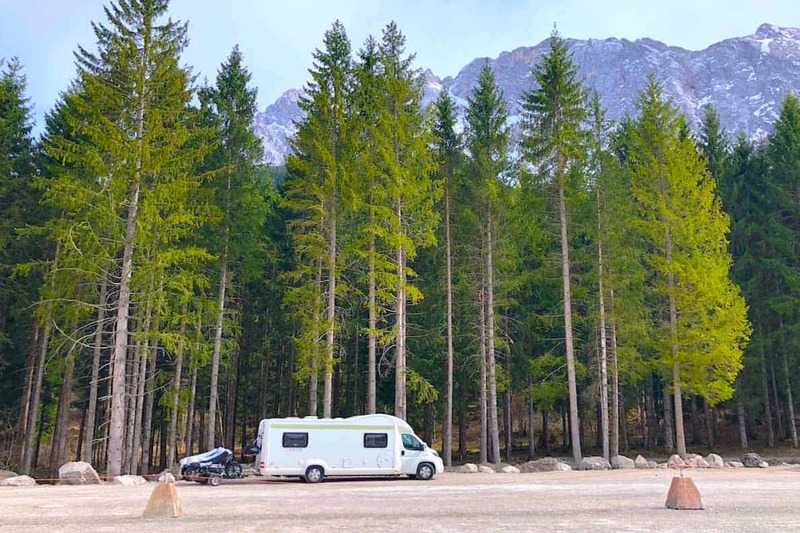 The location is planned (see our guide here on How to plan a Road Trip), the dates are booked and you're ready to start your Motorhome adventures…. but what on earth do you pack? I jest. Read on- here's a list of basics and some ideas to help you decide what to pack for your first adventure! Spray oil for frying- personal preference but it's easier to dispose of a little excess oil than a whole lot! What to pack for a road trip? EVERYTHING- who knows where you'll end up! Give yourself a break- if you've been travelling all day, very few people are going to want to spend a long time in the kitchen cooking something fancy. Make it easy on yourself and you'll find the whole experience much more enjoyable. Also, don't go and buy a load of fresh/ perishable food if you're going on a ferry (unless you're happy to leave the gas on all night and risk the flame going out.) We turn our fridge off for safety reasons, which means we can't buy fresh food until we've arrived at the other side. What to pack for a motorhome road trip- We keep our van stocked with the basics so it's always ready to go. After all, a 10 minute drive has been known to turn into a whole weekend! Think about how you're going to keep things dry if you have a shower room. We store things as high as we can in our bathroom, and then the rest is stored out in the living area. We have to remember to move coats/ shoes which have been stored in the shower before we turn it on! What to pack for a motorhome road trip- We love wild camping- but it means you need to be self-sufficient. Chargers for phones/ laptops/ ipads/ wifi/ bike headsets/ portable radios… you get the idea! We use a mixture of 12v chargers (for use while we're driving) and other chargers which we use on an inverter if necessary, but we try to avoid this. Annoyingly, I've just upgraded to a Macbook Pro, which is amazing but my 12v charger for my old laptop doesn't fit! I'll have to wait for them to release one for mine. Cleaning gear- we keep cloths, duster, wet wipes and vanish spray all easily accessible. I believe there's also a 12v hoover in a cupboard somewhere…. not seen that since the day we bought it! 🙂 We also carry an iron and an ironing board as Mr WB is terrified that he might be called into an urgent meeting and need to get on a plane straight away…. it's not happened yet but I just know the time I take it off the van will be the time we need it! So it's staying (for now). Whilst I think about it, don't forget bedding! Pillows, duvet, bedsheets etc. We have proper bedsheets for our dropdown bed but Baby Bird uses a sleeping bag as she ‘can't be bothered' to make a bed up every night. Fair enough. What to pack for a motorhome road trip- don't forget the corckscrew!! Laundry stuff. Most laundrettes across Europe require you to provide your own detergent etc. We bring a small amount of ours so it's ready if we need it. COINS in the local currency. For parking, tips, tolls- you'll always need them! Gas bottles- we carry two 6kg ones. We tried the ‘lighter' bottles and we're convinced that we get less gas out of them, so we switched back to regular ones. Beware the issues with gas bottles in Europe. More on that in a separate post coming soon. Hose pipe for filling fresh water. Homemade curry (Mandy)- anyone else want to go exploring with Mandy??!! Many other suggestions of food & teabags! Pizza and sausage rolls got a particular mention. That's my sort of camping! If you'd like to join the next Facebook discussion, just follow Wandering Bird Adventures (or use the link in sidebar). The more the merrier! I know as soon as I post this I'll think of something else really obvious that should be on the list! If you have anything you ALWAYS pack, let us know below so others can benefit too. And if you want to know how to start Wild Camping in the UK- click here for our guide! Great tips on what to pack for motorhome travels. I always pack my clothes and then take half of them back out before I set off… and then I still usually only end up using half the clothes I’ve taken! Our essentials also include a ukulele and a guitar, although other instruments are available! My top tip is always remember, there will be a laundrette and food shops somewhere.